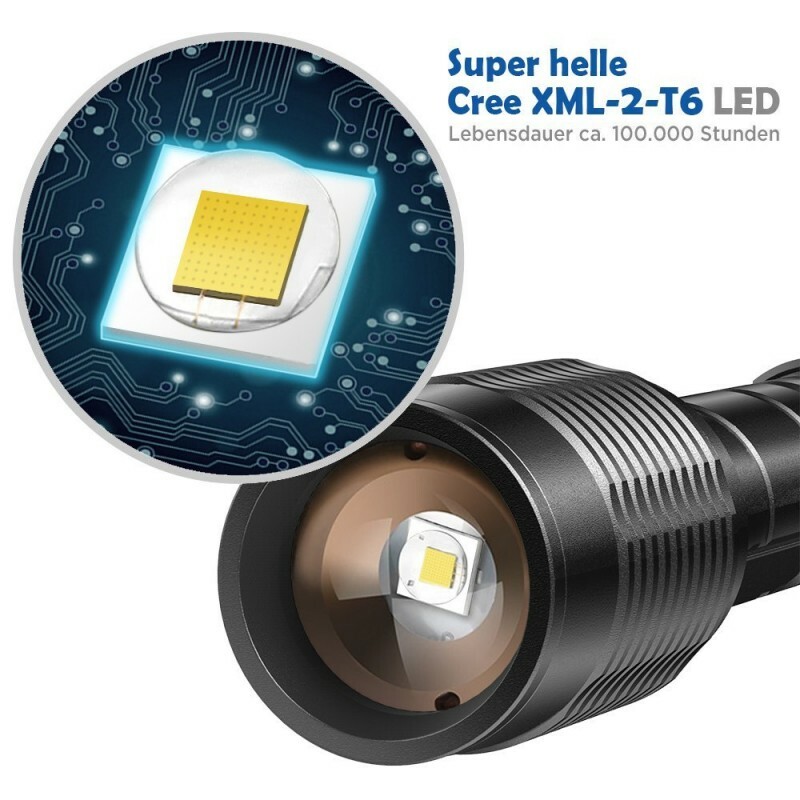 Adopting CREE-XML-2-T6 LED bulb, the flashlight is almost 20 percent brighter than the CREE-XML-T6 bulb. 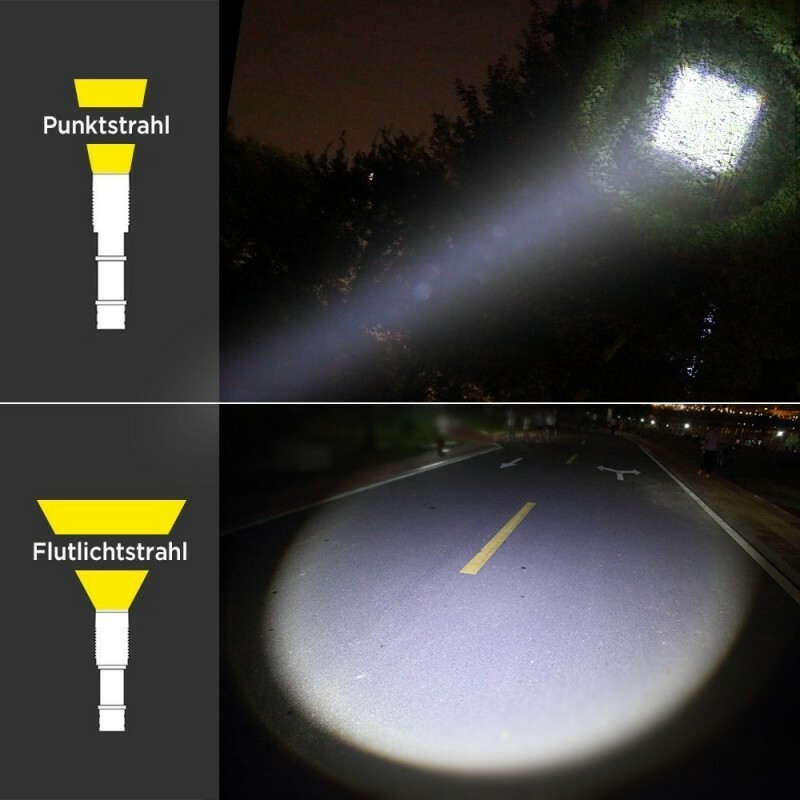 Enables surprising brightness for outdoor activities at night. 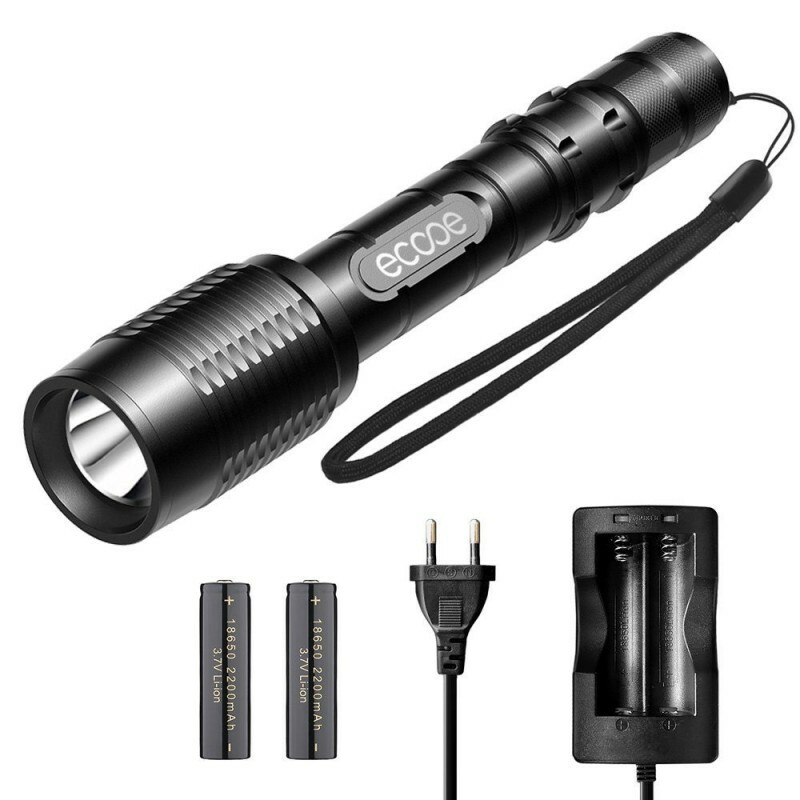 Comes in 5 flexible modes, the flashlight enables three dimming choices, flash and SOS modes. 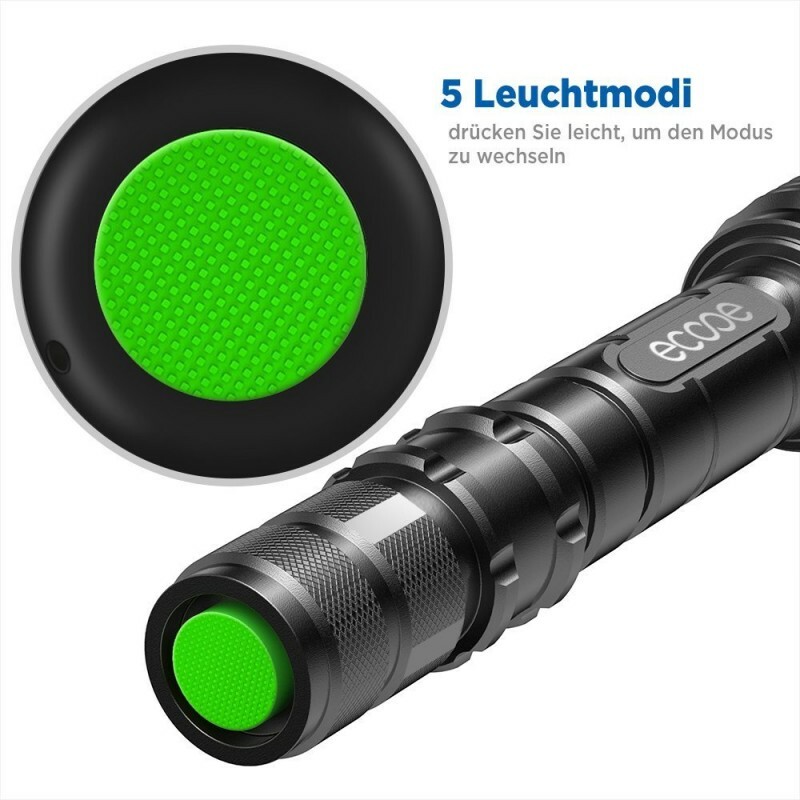 Zoomable focus enabled, the flashlight can either light a large area, or target on certain items clearly up to 300 meters away. 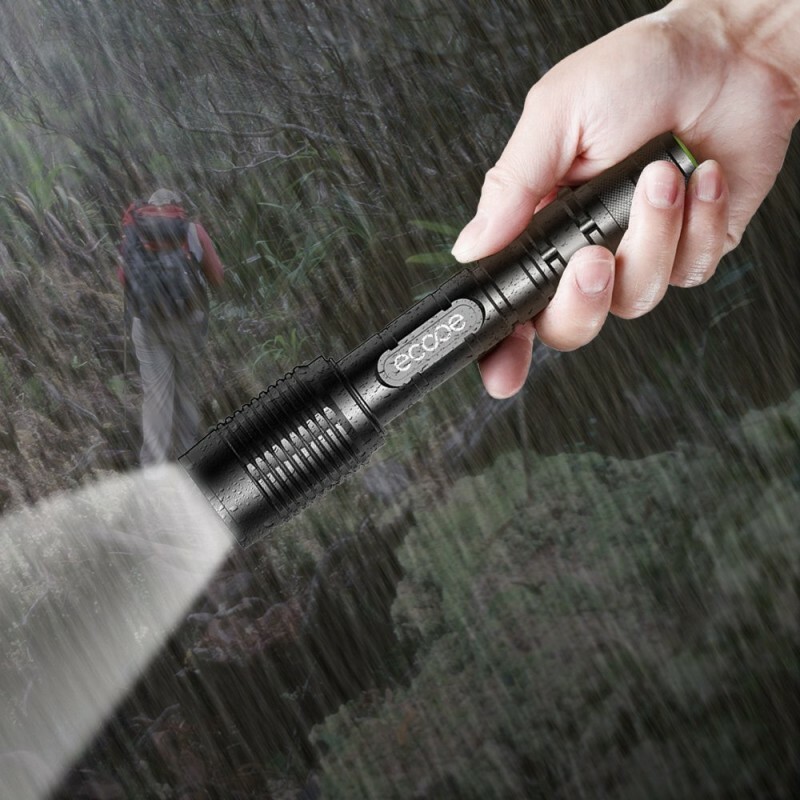 Certified IPX6 waterproof, the flashlight can survive from powerful water jets. 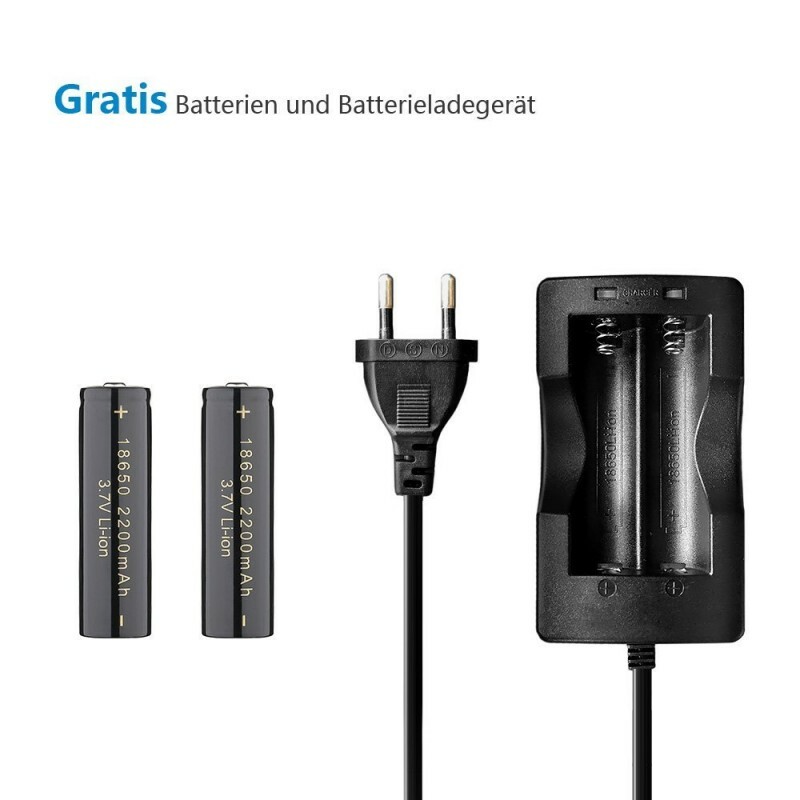 It’ll just lead you through, no matter in heavy rainy times or foggy days.